Find the current market value of your home by booking us to value your home using the form below. 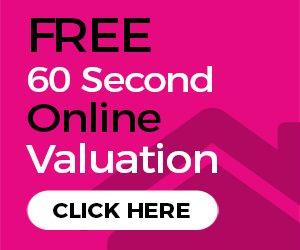 Alternatively you can get a free instant valuation online by clicking the button below, right. As an established Coventry estate agent, Foster Lewis and co are dedicated to offering excellent service, great exposure for your property and yet still retain a cost effective and fair way to sell your home. No fixed long term fixed contract. We only charge a fee if we actually sell your property. As your agent we can organise and supply your required energy performance certificate before sale commences. We offer the finest financial and legal services with no hidden fees or extra charges. To find how much you can sell your property, book a free sales valuation with Coventry Estate Agent Foster Lewis and Co. Call 02476 592929 or submit the form below now to arrange a free no obligation valuation of your property. We recognise that booking a free sales valuation is an important step in moving house and finding the right property for you and your family. We will work hard to make sure you get a great deal using our deep knowledge of the local property market and excellent customer service from a hard-working independent estate agent in Coventry, Foster Lewis and Co.